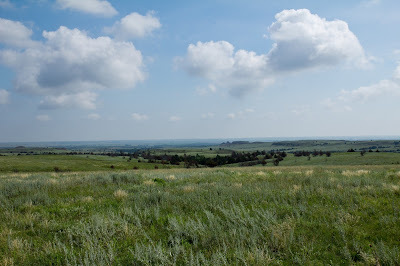 The Kansas Outback: The Red Hills are Green! What a change about a year can make in the landscape. Prior to June of last year, the Red Hills area was parched, tortured with over three years of drought. Pastures were barren with much-reduced stocking densities of cattle by ranchers trying to just survive harsh economic times. Residents' attitudes paralleled the sad state of the land. But the rains started last June and with practically a magical transformation, the Red Hills turned green. Grasses responded with amazing growth and tall seed stalks. Then, the rains continued this spring and summer. Grass grew. Wildflowers painted the rangeland in profusion. 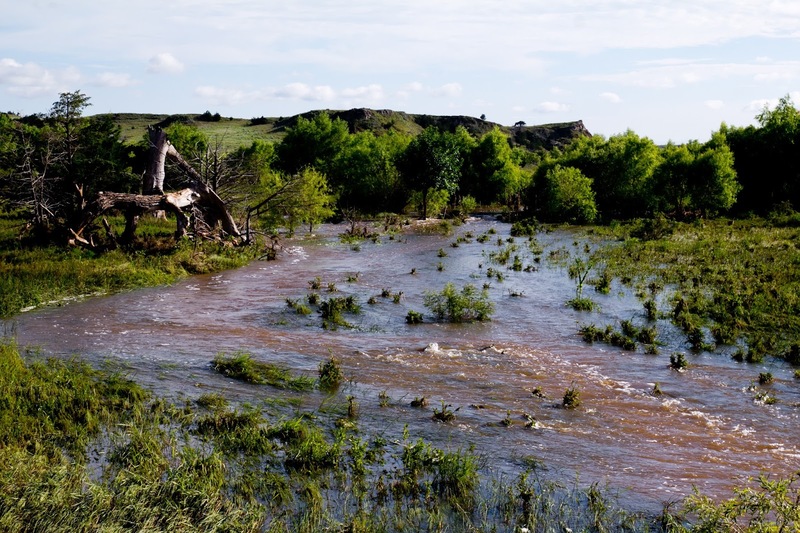 Some ranches reported record precipitation for July! The residents celebrate in consort with the land. And most recently, the Gyp Hills Prescribed Burn Association toured area ranches to evaluate the lush grasslands as a result of the more than a dozen successful spring prescribed burns of over 13,000 acres. We join in this celebration with this posting. 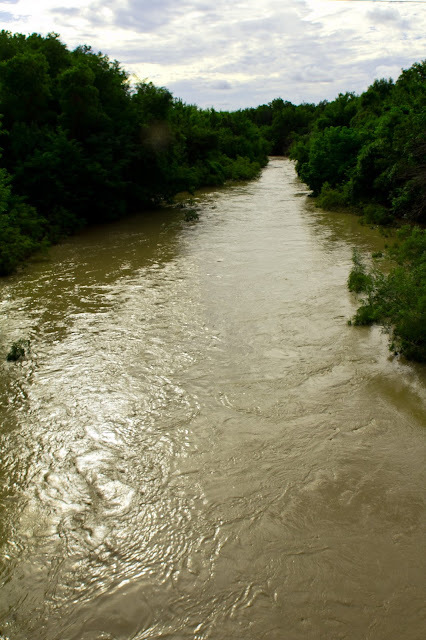 Bear Creek was out of its banks with a recent 5+in. rain. The banks of the Medicine River at Sun City can barely hold its flow! Participants of the Aug. 1 tour of prescribed burns from last spring saw amazing, positive results on several ranches recently. 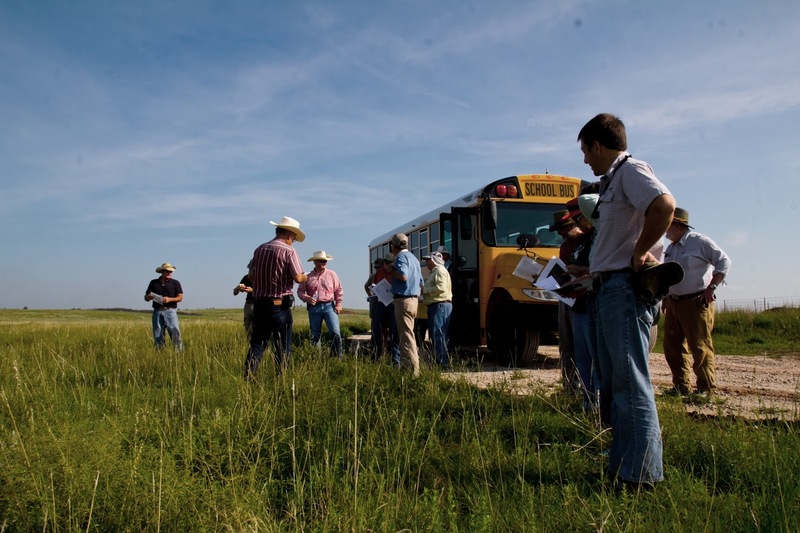 Jess Crockford, Fire Coordinator for SW Kansas, talks about the successful prescribed burn on the Medicine River Ranch owned by Ed and Manda Bricker. 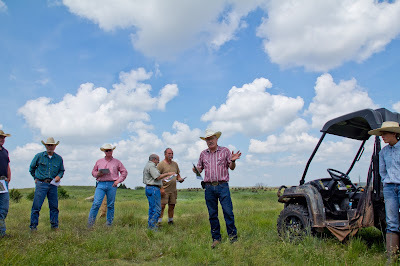 This was an incredible success, turning many acres of useless, cedar-infested pasture into healthy, productive rangeland for cattle and wildlife. 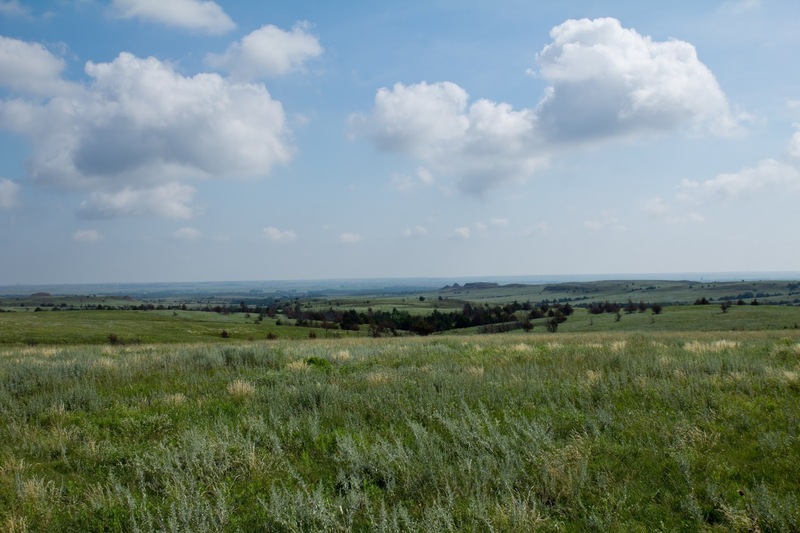 Some of the best rangeland recovery in the Red Hills were ranches, such as this, which enjoyed prescribed burns conducted by many cooperating ranchers and friends.